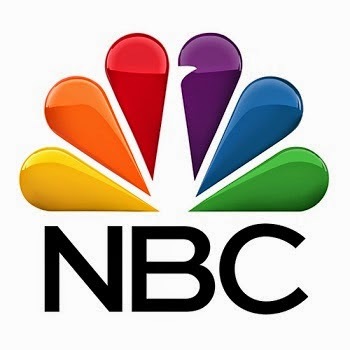 NBC and Universal Television have announced their plans for the upcoming Comic-Con International gathering in San Diego, which runs from July 24-27. Based upon the characters from DC Comics, “Constantine” reflects the lore of the fan-favorite comic, combining noirish storytelling with the evolving mythology of John Constantine (Matt Ryan), a morally challenged character who doesn’t come down on the side of either good or evil … but ultimately might be the only thing defending us against the dark forces from beyond. There will be a huge presence for “Constantine” at Comic-Con, including at Gaslamp Square (Thursday-Sunday between the Hard Rock Hotel and the Convention Center) where a 3-D experience will immerse fans in the world of “Constantine.” Limited edition souvenirs will also be given away. 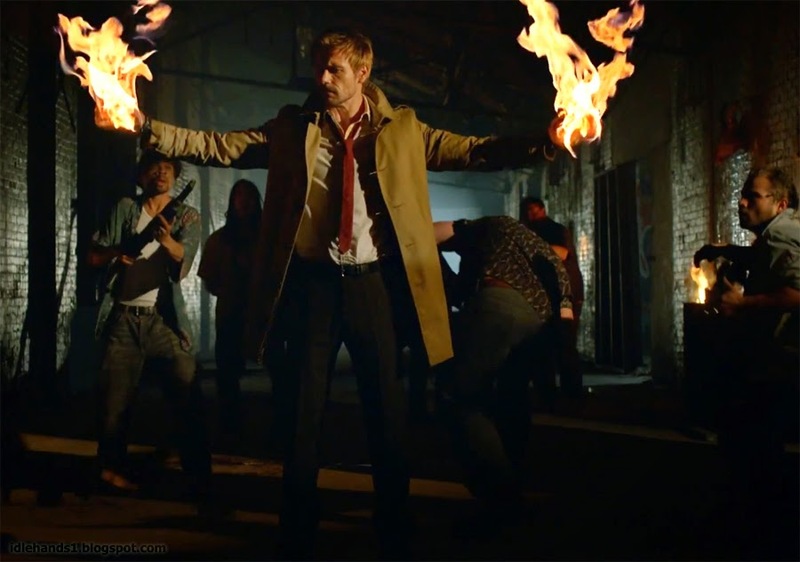 Comic-Con fans will have a chance to see the world premiere of the “Constantine” pilot as part of Warner Bros. Television’s annual Preview Night screenings on Wednesday, July 23 at 6 p.m. in Ballroom 20. The Warner Bros. Television panel for “Constantine” is set for Saturday, July 26 at 5:15 p.m. in room 6BCF. This will include a screening of the complete pilot, followed by a Q&A with cast members Matt Ryan, Harold Perrineau and Charles Halford, as well as executive producers David S. Goyer and Daniel Cerone. The panel will be moderated by TV Guide magazine’s Michael Schneider. Additionally, on Saturday, July 26 at 8 p.m. in Hall H, “Constantine” will be included in the Warner Bros. Television/DC Entertainment three-hour special Comic-Con event, with cast members and executive producers making appearances on the Hall H stage and footage from the pilot being screened. To discuss its phenomenal first season, as well as what’s ahead for season two, Raymond “Red” Reddington himself, James Spader, will headline “The Blacklist” panel on Saturday, July 26 at 1:45 p.m. in room 6A. In addition to Spader, executive producers Jon Bokenkamp and John Eisendrath will participate in the panel, which will be moderated by TV Guide’s Michael Schneider. The No. 1 new series of the 2013-14 season, “The Blacklist” will take over Tin Fish Restaurant at Gaslamp Square (Thursday-Sunday). Fans will be able to get on “The Blacklist” via a custom photo opportunity and also receive “Blacklist” souvenirs. 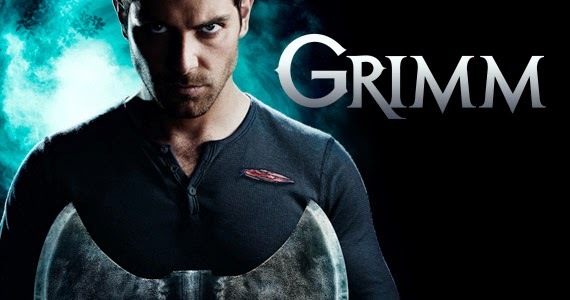 Friday night fave “Grimm” will return to Comic-Con with a panel on Saturday, July 26 at 3 p.m. in Ballroom 20 that will feature an exclusive video. The panel, moderated by Mary McNamara of the Los Angeles Times, will include cast members David Giuntoli, Russell Hornsby, Bitsie Tulloch, Silas Weir Mitchell, Sasha Roiz, Reggie Lee, Bree Turner and Claire Coffee, as well as executive producers David Greenwalt, Jim Kouf and Norberto Barba. For the critically beloved drama “Hannibal,” which Vulture.com says is “unlike anything else on TV or anything that ever has been on TV,” the panel will include cast members Caroline Dhavernas, Aaron Abrams and Scott Thompson, as well as executive producers Bryan Fuller, Martha De Laurentiis, Steve Lightfoot and David Slade. The panel, organized by Gaumont International Television and moderated by U.K. talk show host Jonathan Ross, will take place Thursday, July 24 at 4:45 p.m. in Ballroom 20. Executive producers Carlton Cuse and Kerry Ehrin will be joined by the cast, including Vera Farmiga in her Emmy Award-nominated role as Norma Bates, Freddie Highmore, Olivia Cooke and Nestor Carbonell to discuss the hit series. Fans will hear firsthand details about what is to come in season three debuting in 2015. The panel will be moderated by Dan Snierson from Entertainment Weekly on Friday, July 25 at 3:30 p.m. in Room 6A. The beloved Triumph the Insult Comic Dog and fan favorite Jack McBrayer team up to star in a new live-action original comedy series that is set to premiere in 2015 on Adult Swim. Join co-creator and voice of Triumph, Robert Smigel, co-creator Michael Koman and star Jack McBrayer as they discuss the new series Friday, July 25 at 1 p.m. in the Indigo Ballroom, Hilton San Diego Bayfront.